Compatible with all original Xbox 360 consoles. Not compatible with Xbox 360 S or Xbox 360 E consoles. 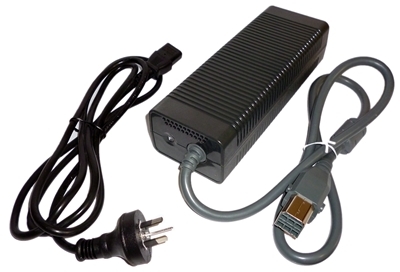 Suitable for powering all original Xbox 360 consoles in Australia. So if you have a Australian purchased Xbox 360 or if you bought an import Xbox 360 console & need to power it in Australia this unit will do the job! Please note this power supply is not compatible with the newer Xbox 360 S or Xbox 360 E consoles (although we do stock power supply for these consoles). Check the photo of the plug and make sure yours is similar. If you're not sure feel free to email us.